A drunken man walks into Starbucks yesterday and asks for a bit of cash so he can buy more booze. This is not the beginning of some sick joke but was my reality Thursday. I was meeting with an amazing young man named David Bjanes when it all happened. He saw us talking on the elevated portion in the back of the coffee shop and must have thought we looked like nice fellows. He comes over to us and looks directly at me and asks for a couple of dollars. I ask him if he needs to get food, I’d love to walk him to a restaurant and get him something. He points to a bag and says: “I got food. To be honest, I just need a couple of bucks to buy a drink. It’s been a really bad week”. I felt something stir within me (the Holy Spirit type, not the go to the bathroom type) so I said to him: “I don’t have money to buy you a drink, but I know something or rather someone who can ease you better than alcohol”. Before asking me what it is, he goes on a long tirade about how he’s not an alcoholic, then asks: “What is it then?” I say: “Jesus, he can heal you and help you through this painful time”. He easily dismisses this and says “I know Jesus”. I didn’t know why but boldness just popped into me and I called him out. I told him I smelled alcohol on his breath and that I’ve lived with alcoholics and I believed he was using it to ease his pain, more than he was willing to admit. He kept trying to leave but continued to talk to me about Jesus, how he’s 60 and I’m only in my young 20’s, what pain could I know. I shared a bit of my story and he listened. We just kept talking and he said: “You can pray for me, but I still want to drink”. I asked him if I could pray with him and he said after he leaves, so I let him leave and silently prayed for him in my heart. Interestingly enough, something else happened after that. A young man sitting near us, Will asked what the H**** that guy was talking about and I had another open window to talk about Jesus with Will, and his girlfriend Sophia. David then joined the conversation with Will, because the drunken guy kind of took most of the talking points and time. David assisted me in talking about things I wasn’t sure on (Science stuff) with Will and we discussed Jesus for about another 10 minutes. It was a really cool experience! I don’t share this story to say David and I are heroes or anything, but I share it because people deeply desire to know Jesus, even if they don’t know it. The drunken man couldn’t leave (although he seemed agitated and seemed as if he really wanted to) and Will, a more or less atheist wanted to know why I was so patient with this drunken man, because to him it wasn’t normal for someone to tolerate someone like that. We truly are aliens in this world and when we live as Christ would, people notice and ask questions. I’ve been in that Starbucks all semester and this is truly the first time I’ve displayed Christ in this way there…so hear me when I say I know it’s tough and not normal for us to just be bold this way. However, I am convinced that if we desire to see God move, we must live this way. David and I were just discussing all of that before this took place and so I believe the Holy Spirit was preparing us for that very moment. May we, the priesthood of believers continue to be willing to listen to His Spirit! My Piggy Bank is Stuck! I am a Follower of Jesus, Husband, Daddy, Pastor, writer and a reader. Currently, I am the Young Adults Pastor at Allegheny Center Alliance Church in the inner-city of Pittsburgh, PA. My first book Pinocchio Vs. 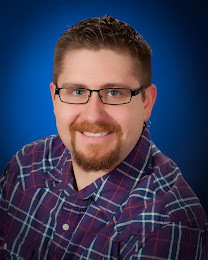 The Real Boy came out in March of 2011 and I am currently working on my second book. 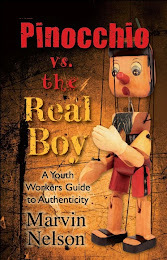 Pinocchio vs. the Real Boy is a call to all of us youth workers to be real and let go of the masks we wear. We struggle on our own too often, neglecting to get rid of the junk in our hearts and lives, which leads to unhealthy ministry and teens who are disillusioned. Pinocchio vs. the Real Boy is a guide to authentic living and teaching that will enable us to start healthy, stay healthy, and teach healthy. As a result, we will be better equipped to encourage teens to know God loves them as they are, but He loves them too much to leave them that way! ingage features specialty coffee, fresh worship and poignant sermons based on the same weekly topic as in Main Sanctuary. This energetic service venue takes place in Robinson Chapel, Union Place, every Saturday night at 6pm, starting June 2nd. ingage participates in a time of growth immediately after the service, giving time for discussion regarding the worship and sermon experience.